Fast UK Template And Fit Service, Get A FREE Instant Quote! 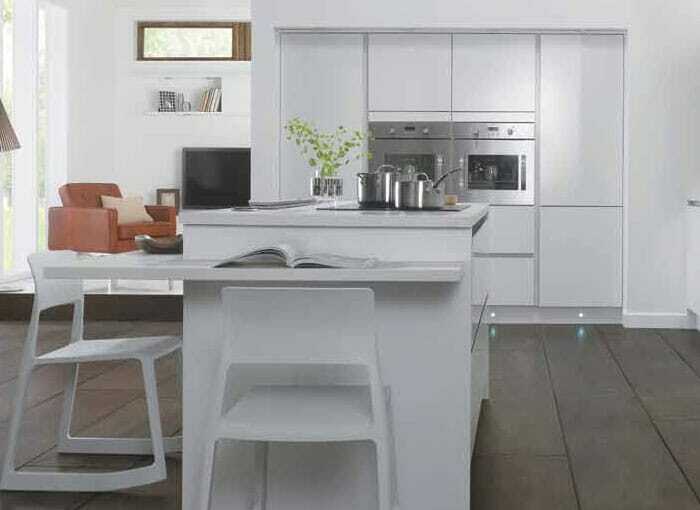 Solid surface kitchen worktops are becoming increasingly popular with their clean lines and stylish, modern look. 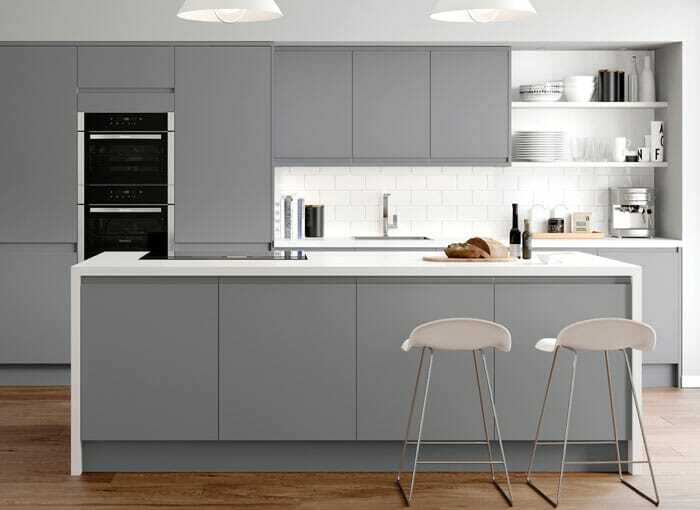 We've a fantastic range of solid worktops at HC Supplies, including granite kitchen worktops, acrylic kitchen worktops, stone kitchen worktops and quartz kitchen worktops, each offers a high quality finish at an incredibly cheap price. 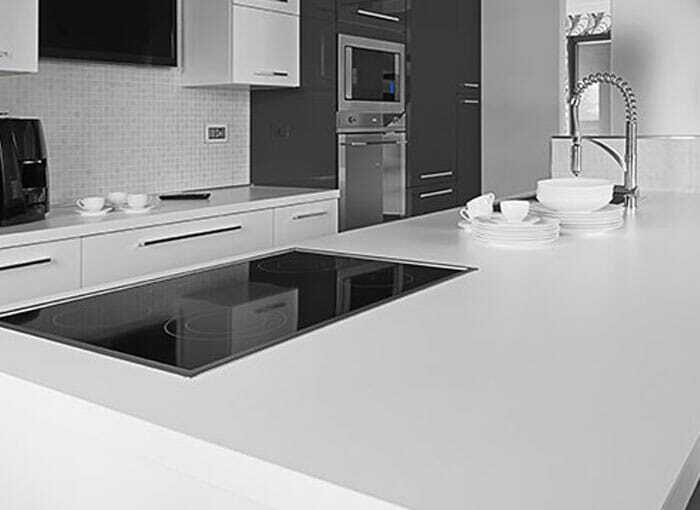 We stock solid surface kitchen worktops from many leading brands. 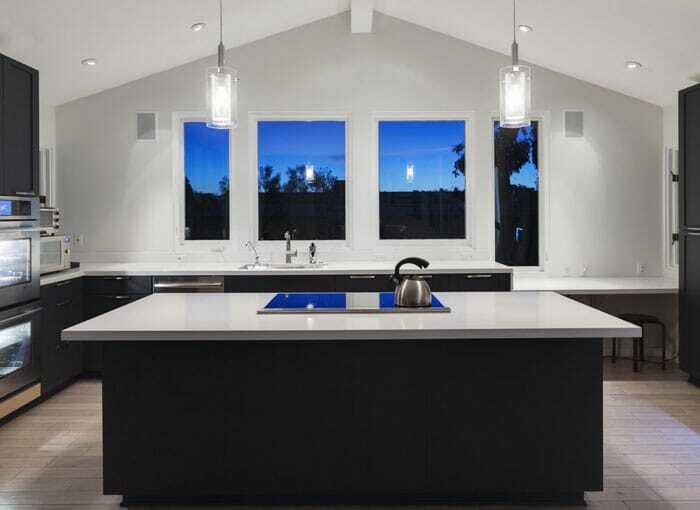 You'll find Earthstone kitchen worktops, Encore kitchen worktops, Mistral kitchen worktops, M-Stone kitchen worktops, Zodiaq kitchen worktops and Silestone kitchen worktops. One of the major benefits of solid surface worktops is that they are non-porous, making them highly resistant to bacteria and staining. 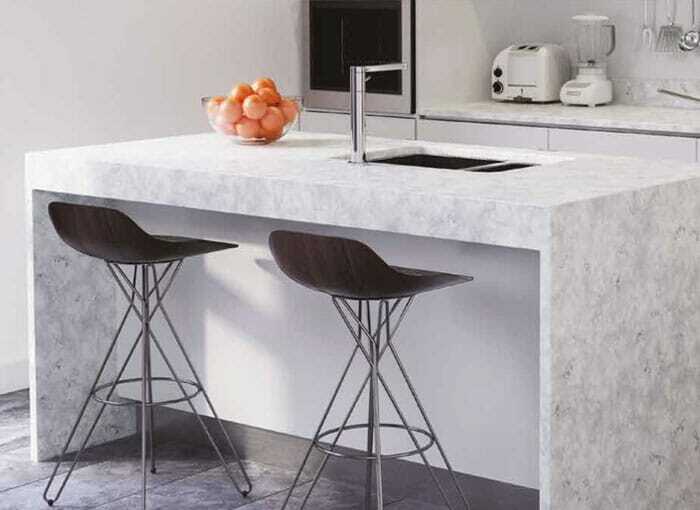 There are a variety of solid surface worktops for you to choose from, no type of solid worktop is the same so let’s give you a quick run down of what we have to offer! If your looking for a solid surface worktop with natural class and luxury, then our granite worktop selection is for you! Solid granite kitchen worktops are long-lasting, they keep their value, they're strong and can take high temperatures. You can rest your pans directly on quartz solid surface kitchen worktops without worrying about causing any damage. They are also very naturally hygienic and are really easy to clean. If your looking for solid kitchen worktops that are more engineered than natural, then why not consider our quartz worktop range? Corian solid worktops are scratch-proof and are highly resistant to chipping, making them a fairly low maintenance solid worktop. Due to the sheer range of colours and textures available, you can easily find the perfect solid worktop for your kitchen design. You'll find plenty of choice in our entire kitchen worktops range! 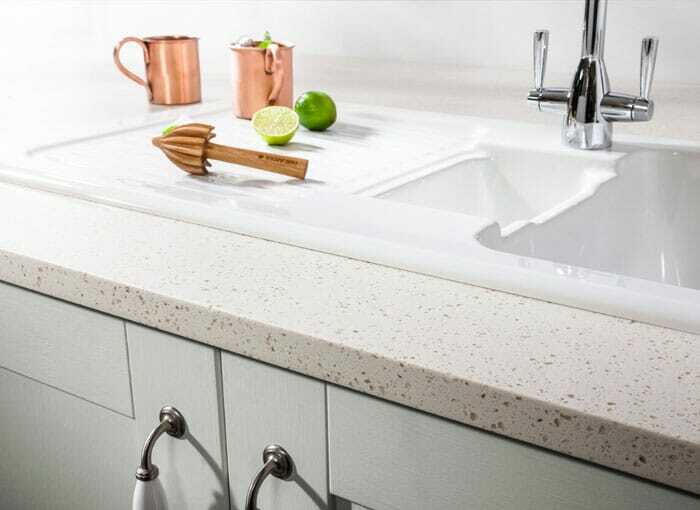 Quartz is also non-porous, meaning that it doesn't allow water beneath the surface, meaning that not only will you not have to seal the worktop, but they are also stain resistant. 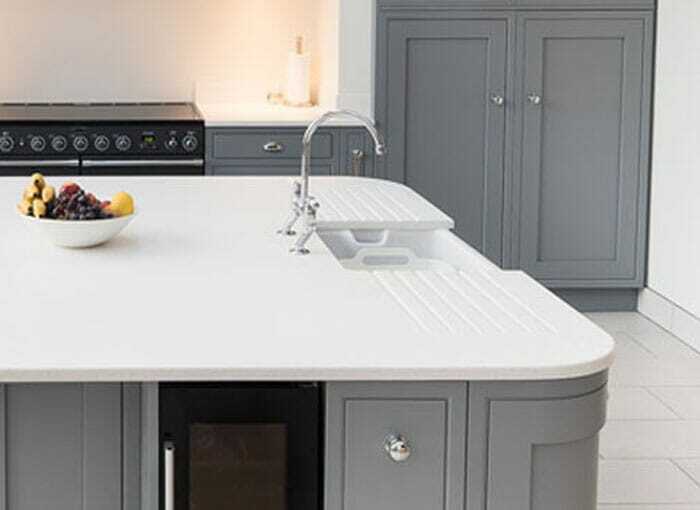 At HC Supplies we believe we offer the best selection of solid surface kitchen worktops range at the cheapest solid surface worktops prices around and offer a no fuss guarantee for your 100% satisfaction. Our solid worktop range is usually available for delivery within just 2-7 working days. 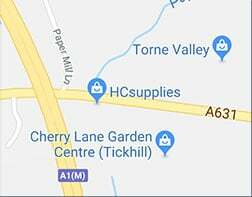 Why not visit our showroom situated in Doncaster, South Yorkshire and sample our fantastic range of solid kitchen worktops? Our staff are highly experienced and friendly to ensure you get the best possible advice when choosing the perfect solid surface worktop for your kitchen design.